Construction is a very important job, and if you're pretending to be a female construction worker, having the right equipment is essential. 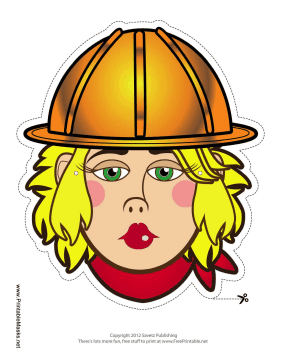 This lady construction worker mask is way easier than finding a construction helmet and bandana of your own. Her blond hair, red bandana, and green eyes will look great on you! This mask is free to download and print.